Roy Hodgson is on the lookout for a new striker in the winter transfer window in a bid to avert his side's slide down the Premier League table. 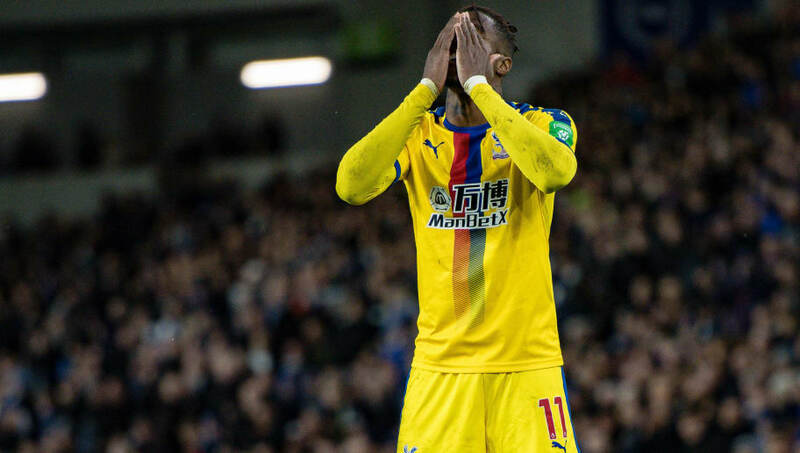 Having assessed his options, the Palace boss is desperate to add firepower to his squad, with the Eagles registering the league's second lowest goal tally on 13 from 16 matches. Furthermore, the goals they've scored have only heralded 12 points all season, as the south London side reside in 16th place in the table after Saturday's ​defeat to West Ham. The 28-year-old Belgian scored 15 league goals in his debut season at Selhurst Park, but failed to push on, scoring three last term and none so far this year, and now, according to ​Mail Sport, Hodgson is scouring the market. In order to bring in additional strikers to the club, Palace would, most likely, need to offload the Belgian and his £120,000-a-week wages in order to do so, which may prove an issue after his misfiring form. Even when fit though, Hodgson's lack of confidence in his strike force has been embodied by his decision to play wingers Andros Townsend and ​Wilfried Zaha as strikers in a 4-4-2 formation. Some good news for the former ​Liverpool manager is the return of Connor Wickham from injury. Similarly though, the 25-year-old hasn't produced the form Palace wanted when they signed him from Sunderland in 2015. CONNOR WICKHAM OVERHEAD KICK! WHAT A GOAL! However, the striker did score a sublime bicycle kick as he made his return with the U-23s. The return of Wickham will provide Hodgson with a welcome boost for Saturday's home match against ​Leicester, with Zaha suspended for the crunch ​Premier League clash.